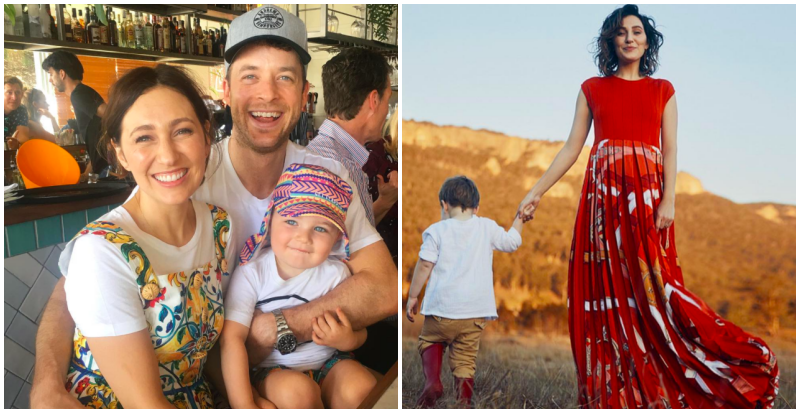 Hamish Blake and Zoe Foster-Blake shared a clip of their little guy Sonny getting up to some bedtime mischief and we’re not ashamed to say we’ve watched the video 37 times already. Hamish is the camera-guy in this bedtime blockbuster, providing insightful Attenborough-style narration of Sonny in his nighttime habitat. “Okay. Zoe putting Sonny to bed,” Hamish explains in hushed tones. “Stay in bed,” Zoe suggests to the snuggled-down child. Sonny confirms that he indeed will stay in bed, Mummy. “And 3, 2, 1,” Hamish counts. Right on magical cue, Sonny springs from his bed and toddles (and we mean toddles in the true sense of the word) toward the baby monitor. Sonny stares into the monitor, aware of his audience, listening, watching, waiting. Expertly, Sonny reads the room and swiftly gives the people what they want. He tilts his head merrily (a bit madly, truth be told) from side to side, eyes eerily illuminated. He is part fun-fair clown, part Sia-impersonator and all improv genius. In a committed performance, Sonny then moves even closer to the monitor, makes some meaningful eye contact and then, just as the tension is building and we’re hopelessly drawn in, he turns on his heel and toddles back to bed. Sonny knows it’s a good idea to leave people wanting more. 'Now, you stay in bed,' I said, as I kissed my angel goodnight in his new, sideless cot. 'Of course mama,' he whispered sweetly, and rolled straight over to sleep.